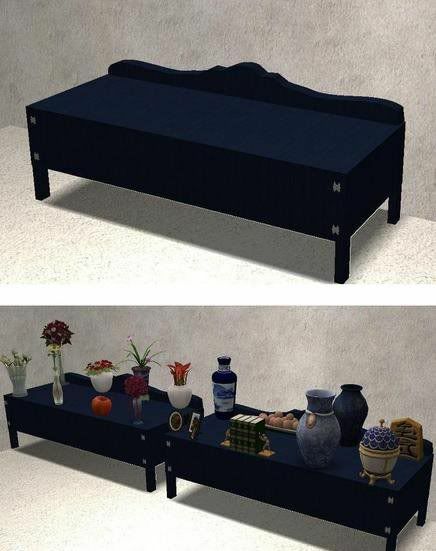 You can place whatever you like that will fit on coffee tables on the slots. The sideboard has 2 recolorable subsets. I do plan on doing some recolors soon as well. For the content shown in the picture, see recommended items. I hope you enjoy!